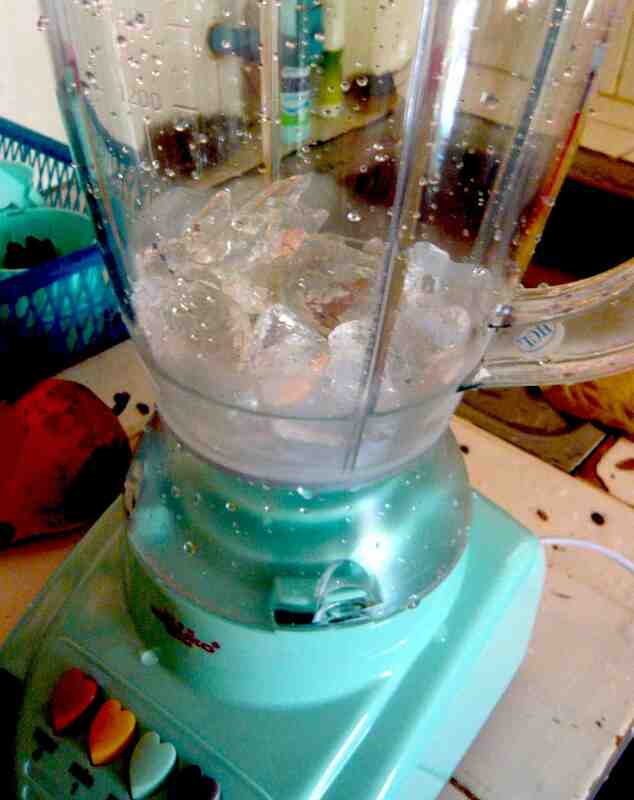 Two handfuls of ice cubes into the blender along with one fruit without skin and seed of course. 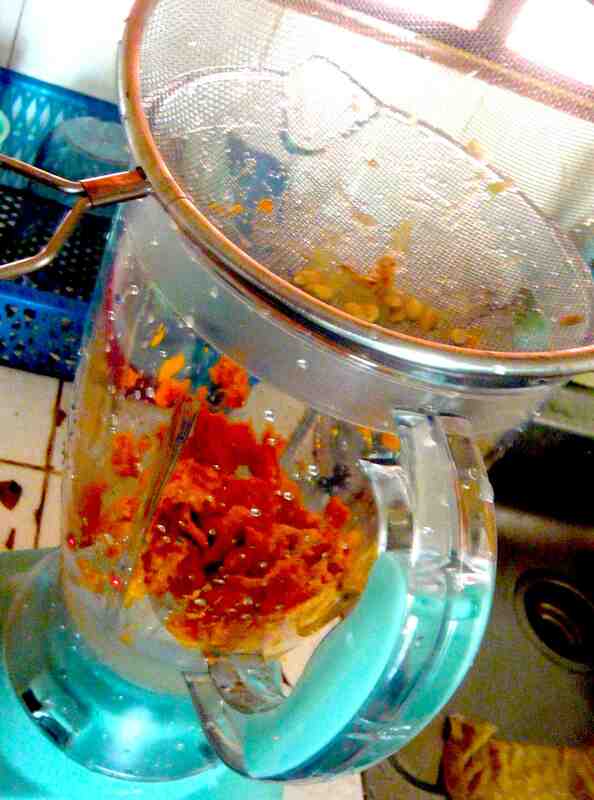 And then I squeezed in the juice from two limes through a sieve to stop the pips. And then blend…………. This is a strange fruit I picked up at the market a couple of days ago. I first tried this when I was here last year. I’ve never seen it before I came to Cambodia. It’s called a “See-daa (សុីដ ា)” in Khmer. The texture inside is very dry rather than juicy. It is extremely sweet and the flesh is soft. 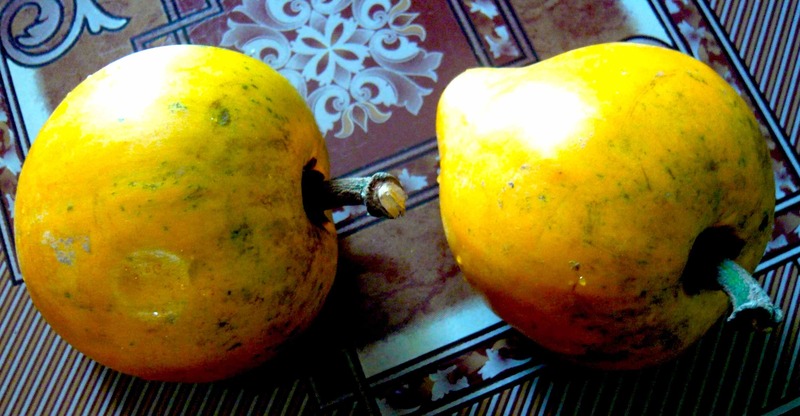 It also has a very distinct aroma/smell when it is ripe. There is one large stone in the centre of the fruit.I bought some last week at the market and the woman charged me 1000 riels (4000 riels makes 1US $) per fruit (which is expensive for here and I had a feeling she overcharged me as a foreigner-I hate that!) I thought she meant per kilo, otherwise I would’ve picked the largest fruits. Two days ago I bought the same fruit again from a different stall-and she charged me 1500 riels for 2. So with joy I bought four of the largest she had. I’ve ate two and don’t feel like any more now-they are so damn sweet. I got over excited at thinking I was getting a bargain. (I often get over excited buying food! ) 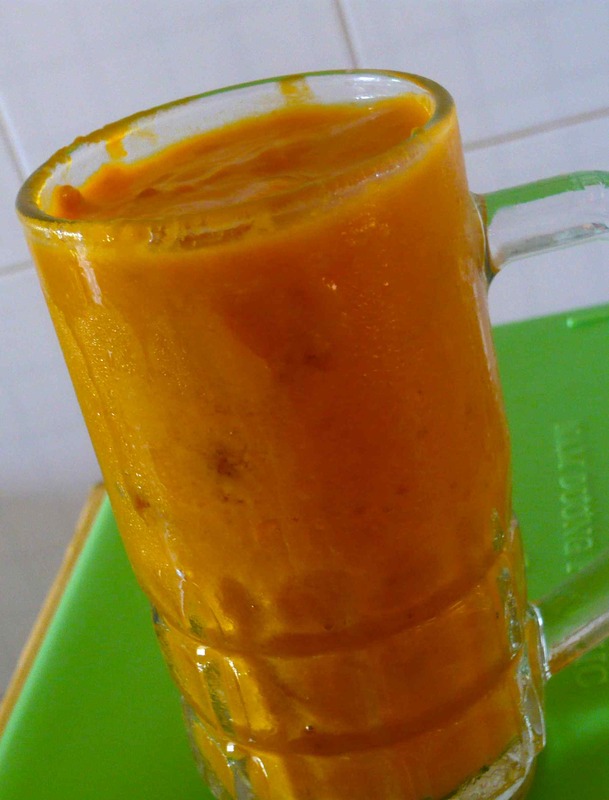 I’ll go and buy a blender tomorrow and see if I can make an ice smoothie drink out of it. Otherwise they’ll go bad. And I always have a little guilt feeling when I let good food go bad. That’s another story I’ll go into at some point in the future. Oh in case you’re wondering why I love to cook and don’t have a blender? I have only been here in Siem Reap, Cambodia 2 1/2 months now. I’ve only just rented this room I live in since 1 1/2 months. So I’m building up a new kitchen from scratch (for the umpteenth time). And I LOVE buying new kitchen stuff (like my mum). Oh I forgot the name (I’m terrible with names) of the fruit. I’ll add the name tomorrow. 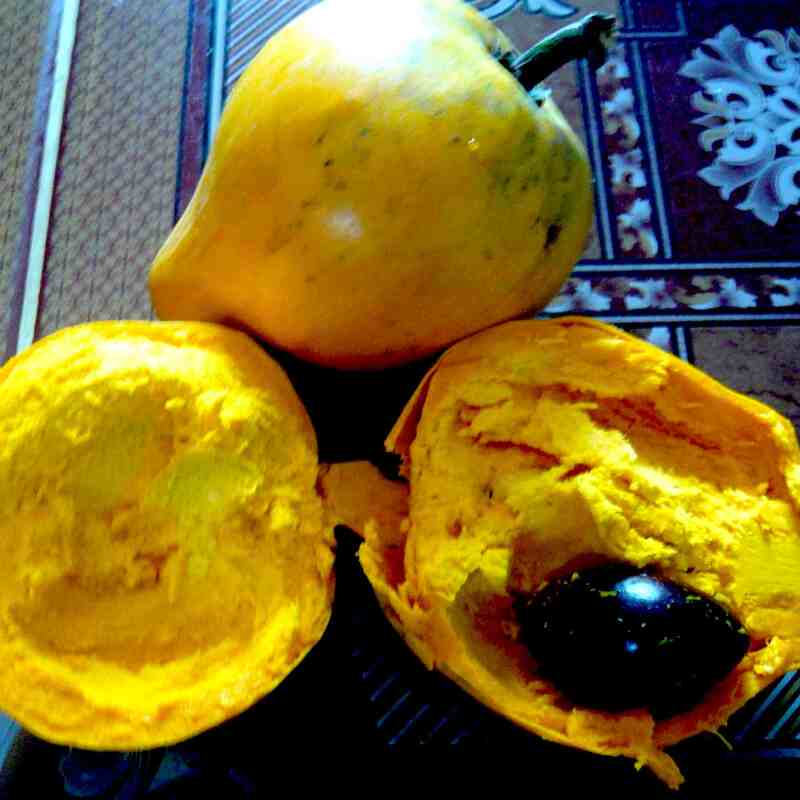 This fruit is called an egg fruit, canistel or yellow sapote. I found the English name by chance on a Cambodian fruit poster at the clinic I attended with dengue fever.